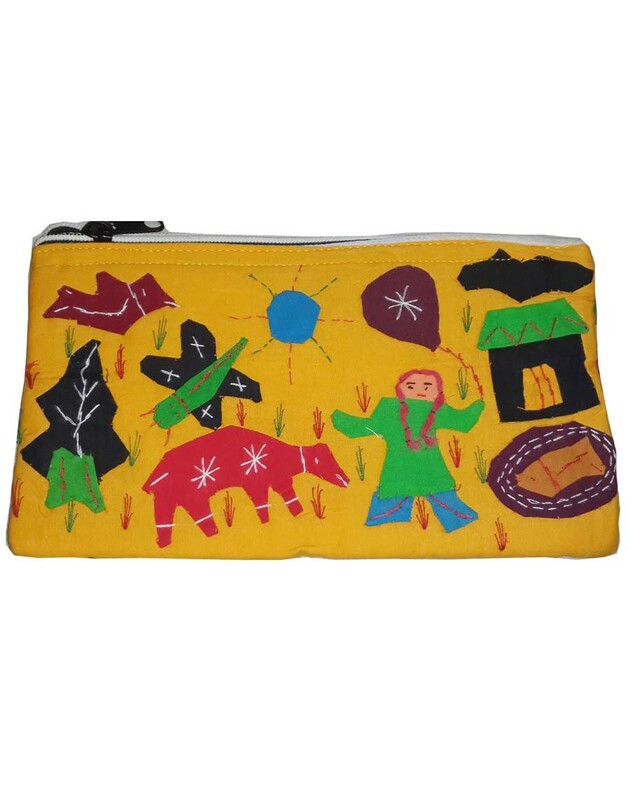 The beautiful handcrafted applique clutch from Bhubaneswar, Odisha. 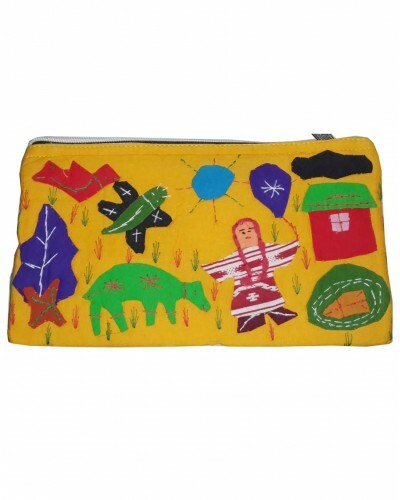 This handmade clutch can be use accommodate all your essentials and accessories. The type of closure of clutch is by zip with single compartment. Size of the product: 24" (W) x 3" (H) x 16" (L). This season choose something funny, happy and funky appliques. Go off the tangent; follow a whim and end up purchasing something unique and different. This hand stitched purse is made up of Eco-friendly natural high quality jute fabric moreover offer value for money. This one of a kind hand embroidered appliques pouch/clutch is of perfect size to hold your small Digital camera, Ipod, Cell phone, Credit cards, ID’s, Cash or anything else you can think of. Perfect for daily usage. • Disclaimer: This kind of accessories product is handcrafted and may have slight imperfection and/or mismatch from the product shown in the image as its handcrafted by the artisan which makes the product unique.